Do you want to tell in a special way that you love him or her? Surprise your great love by serving this delicious dessert after a romantic dinner. 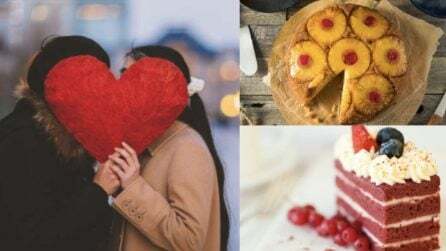 And if you still do not have a partner, it is also a nice way to show your friends how much you love them, I am sure that after giving them to try this delight, they will love you much more. Today I have brought you an ideal recipe to prepare on Valentine's Day, particularly I love the taste of cream cheese, mixed with strawberries and the crunchy touch of the dough. 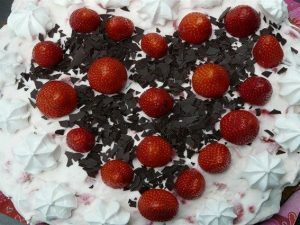 It is an easy and quick preparation dessert, and a perfect recipe to share, so enjoy it with whoever you want, there will be love for everyone! Preheat the oven to 180°C/350°F. Cover with wax paper the bottom of a baking tray. Allow the cream cheese to reach room temperature and whip it. Proceed to stretch the pie dough and cut about 12 rectangles of about 2.5 x 3.5 in. With a heart-shaped cutter mold, make a heart at one end of the dough. Put 6 of the pie dough rectangles in the tray. In the center of each rectangle place a tsp of cream cheese and a tsp of strawberry jam on top, leave an edge of about ¼ in. With a heart-shaped cookie cutter to cut the center of the remaining 6 pie dough rectangles. 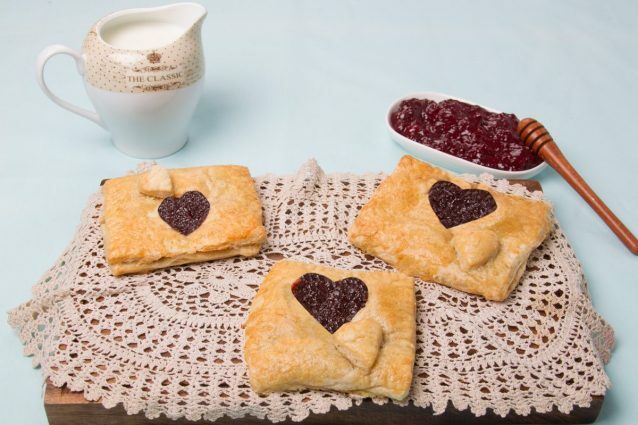 Cover with this heart-shaped pie dough the rectangles placed on the tray. Seal the edges using a fork. In the heart center place a strawberry heart-shaped slice. In a small bowl whisk the yolk and the water. Proceed to varnish all the rectangles with the egg- water mixture. Place the tray in the oven and bake until well browned (it will take about 12 to 15 minutes). Retire from the oven and place on a rack for cooling. Once completely cold you can enjoy them. Make Your Best Pie Ever with these 3 recipes!